Hello Doodlebug friends! 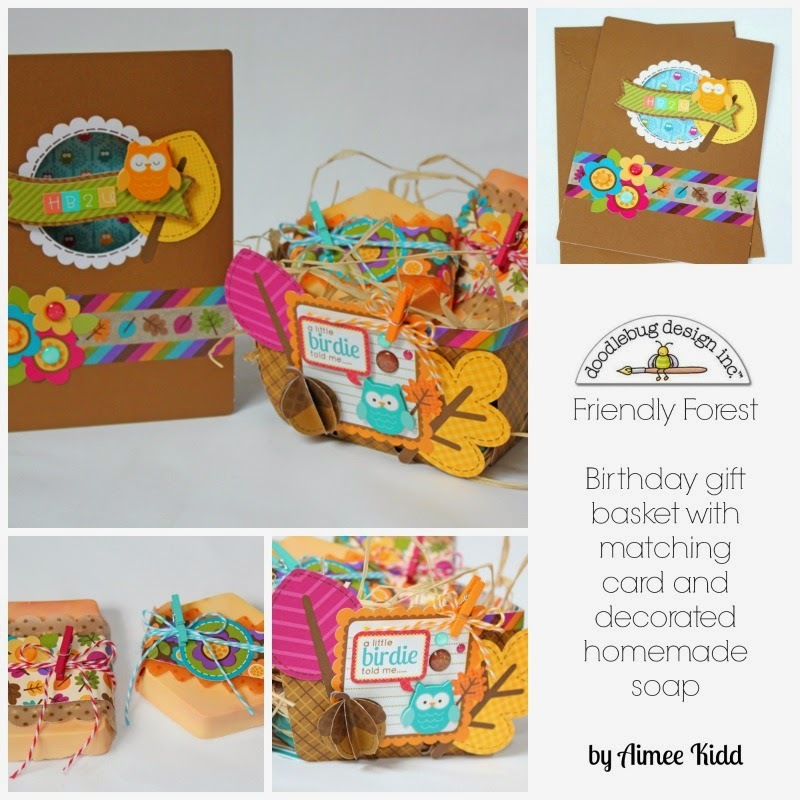 Aimee here with you sharing my Friendly Forest birthday gift set. The colors are so fun and vibrate, I thought it would be perfect to wish someone a "Happy" birthday!! The first piece of my project is this little basket which sports 2 (homemade) bars of pumpkin spice scented soap. The basket was created using the 3-D fruit basket cut which I got from the Silhouette Studio. I used a brown plaid piece of pattern paper from the collection for the basket and lined it some of that gorgeous striped washi tape. Then came the fun part of decorating the front with all of the embellishments such as the new clothes pins and glitter Sprinkles! To add a little more dimension, I adhered 3 of the acorns together and folded them upwards. 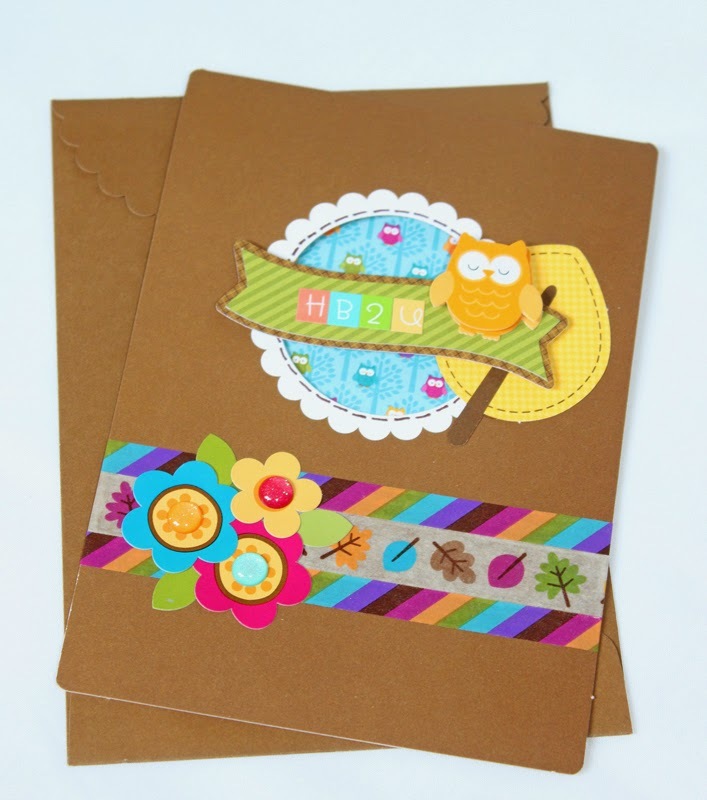 The card came together easily by adding washi tape, stickers, Sprinkles, a leaf diecut, and a Doodlepop owl to the front of a Doodlebug card. And finally the gift itself.....I got in the kitchen with my sweet girl and we made some pumpkin spice soap bars. I found a simple recipe off of Pinterest. I wrapped strips of vellum and pattern paper around them and then topped it off with some stickers, twine, and the wonderful new goodies from Doodlebug.....the clothes pins! I can't wait to give this gift away to someone special!! Love this set Aimee!!! Fab job!!! Awesome job Aimee! I love this collection and it made this project so cute! Oh! this gift set is adorable! I love, love how you decorate the soap! so romantic! 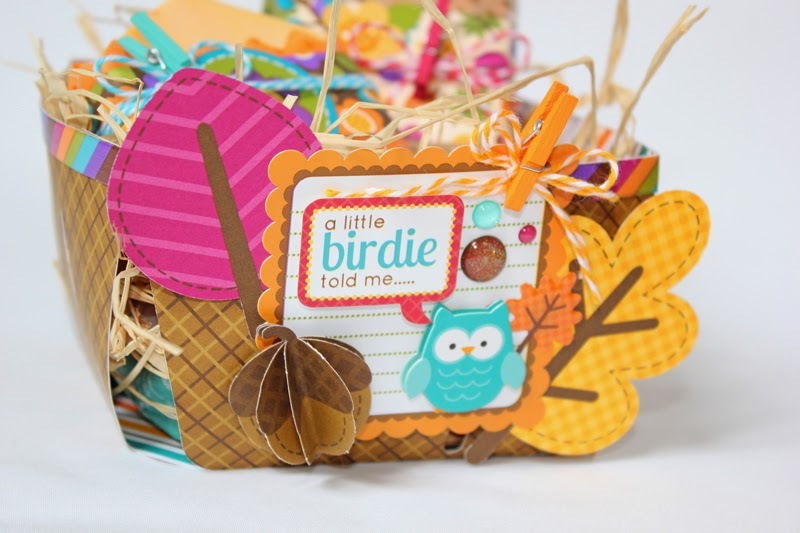 Fabulous card and gift basket!! I love the details and embellishments. I pinned the gift basket. Love it! I shared it on Pinterest. Can I be someone special? Those sound awesome!!! I love pumpkin spice smell. Now I'm going to have to stalk you on pinterest to find that! Your card, basket and soap coverings are ADORABLE!!!!! Love everything about this Aimee! Amazing work!! Those are fabulous! 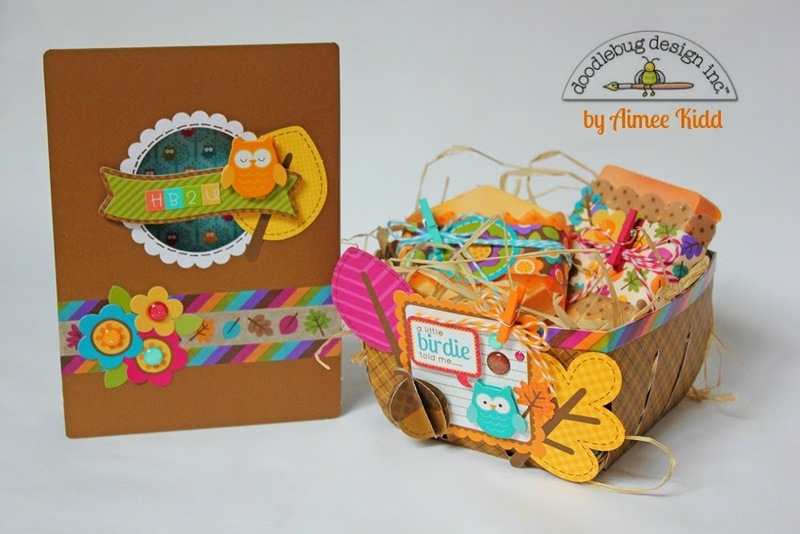 I just love the card, basket and soap birthday gift, the designs are amazing! I totally love that you made the soap with your daughter! Just love all of the new Doodlebug goodies! So love that little gift basket! I shared on Facebook! mmm, your gift set is SO CUTE Aimee LOVE IT ALL!!! A cute. 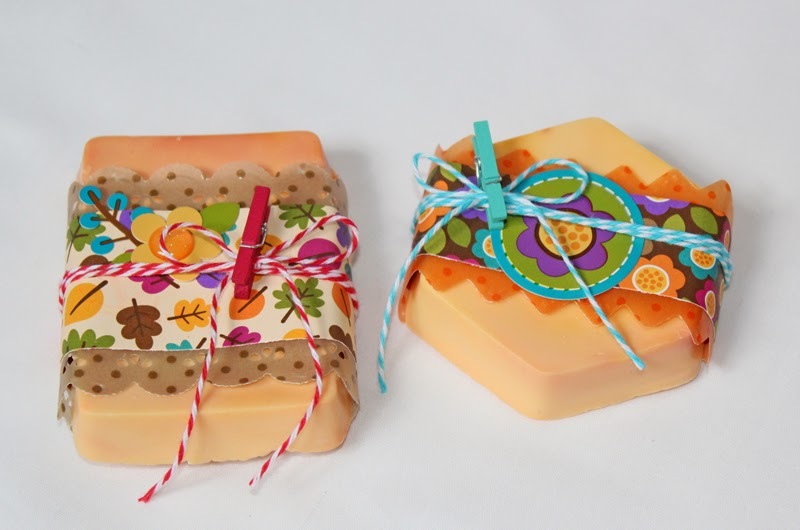 Love the pumpkin spice soap bars. Definitely want to make them all. This set is so way beyond cute!! Aimee did a fabulous job! !